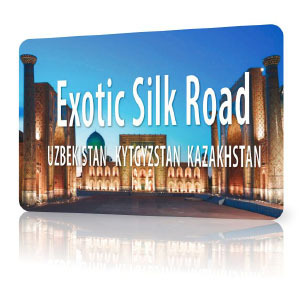 Visit The Silk Road, Uzbekistan, Kytgyzstan and Kazakhstan with Peter Eastway and photo guide Mehmet Ozbalci. Travel photographers understand only too well the excitement of visiting a new country and searching for photographic opportunities. So I know you will understand my personal excitement when long time friend and European photo guide Mehmet Ozbalci suggested we visit the Silk Road and three new countries! Or the ‘three Stans’ as Mehmet calls them. The Silk Road itself conjurs up visions of ancient trails and medieval discoveries. Ours will be just a small segment of the western end. After all, we only have 16 days, so rather than spending them all travelling, the idea is to experience as much of the three Stans as we can in some detail. Within the ebrochure below, you can read a brief synopsis of what Mehmet has planned. I have not visited these locations before. Mehmet has. However, I have travelled through Turkey, Georgia and Armenia with Mehmet and trust his judgment. And take a look at the photos in this brochure, all taken by Mehmet in between offering his clients wonderful service and amazing experiences. I need 6 intrepid photographers to accompany us in 2019 (maximum number is 8 or 9 with a partner) to make it happen. Do you have a sense of adventure? Would you like to add the three Stans to your passport? The Silk Road Photo Tour - 16 days with AIPP Grand Master Peter Eastway. Payment of deposit for this tour is directly with Kim Valenti on kim@betterphotography.com or (02) 4388 6851. Online bookings not available as price in US$ and conversion to be done on day of payment.